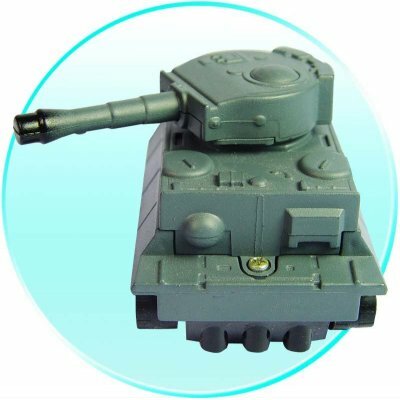 Successfully Added Toy Tank With Inductive Line Following Technology to your Shopping Cart. Toy Combat Tank with Inductive Technology, allowing the toy to follow a straight or curving line from a marker made on a white piece of paper. You can make your own battle plan for the rampaging tank to follow, and with a movable turret for an added amount of fun. It is powered by 4 included button batteries, for long lasting fun and cheap replacement when the charge runs out. With no MOQ, you can buy a sample as a test or for a gift, or buy in bulk for further discounts to the already low wholesale price..